We are enthusiastic about engaging with charities and local community projects to raise funds and make a positive difference. Community involvement is about more than just giving money. We actively demonstrate our commitment to local projects and charities through financial contributions and also in other ways in which we are able to lend our support. Our Pallet Pledge scheme is now in its sixth year, which sees the business make quarterly charitable donations that are linked to the success of our overnight palletised distribution business. For every pallet that we input into our network we make a 10p donation to a chosen charity. To keep the scheme personal and ensure we lend our support to a wide variety of worthy causes, we ask our staff and clients to nominate charities that are close to their hearts. A good cause is then selected each quarter. 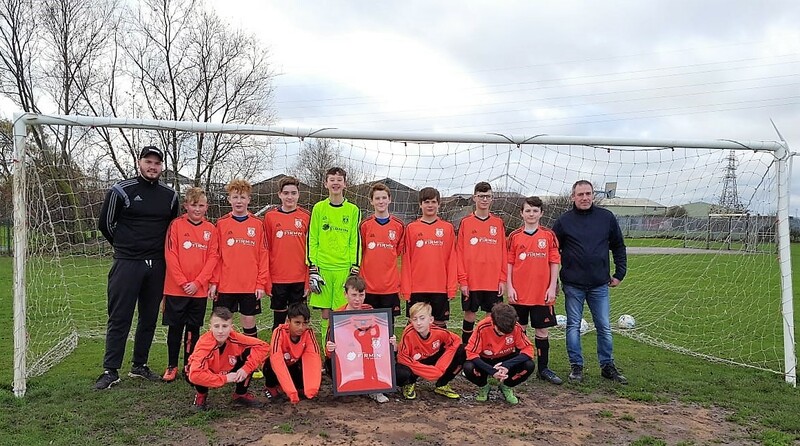 Our nominated worthy cause for January to March is New Road Football Club U13’s, nominated by LGV Driver, Paul Gardner. Paul, who has worked for Firmin’s for over 4 years, coaches the team and we are delighted to be sponsoring them for their 2018/19 season as our Q1 Pallet Pledge good cause. We wish the boys the best of luck.